Hannah Barron, director of wildlife conservation campaigns at Earthroots, said more than 1,000 wolves have been killed in an attempt to protect the Little Smoky Caribou herd over the past decade, with "no significant increase in caribou numbers." 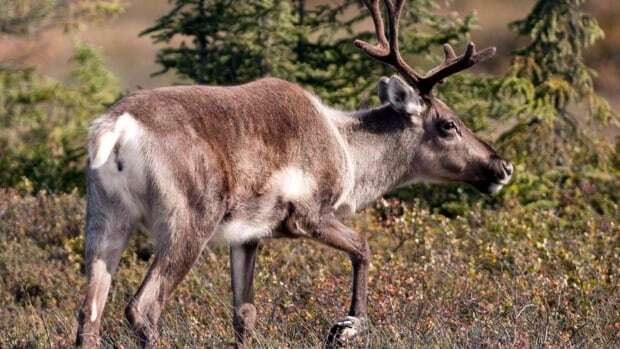 Conservation groups across the country are calling into question both the ethics and the effectiveness of a proposal to recover woodland caribou in Alberta. The draft plan includes an experiment to fence a 100-square-kilometre area where caribou would be able to breed, and any predators that pose a threat to the enclosed herd would be killed. The trial would study whether it is possible to restore caribou numbers in the absence of specific factors that either are responsible for caribou mortality or that compete with caribou for resources. Paul Paquet, senior scientist with the Raincoast Conservation Fund, said destroying wolves, deer, elk and moose, in order to provide an unknown benefit to caribou would be an unethical course of action. "As a scientific experiment, it's of real interest," said Paquet. "But science, even the best science, doesn't give us permission to do whatever we want," he told CBC's Alberta@Noon. "This is a case of just because we can do it, doesn't mean we should." Moreover, Paquet is "doubtful" a wolf cull would do much for the caribou by itself. He believes the government's priority should be habitat restoration and protection from industrial and recreational activities that are destroying the caribou's natural landscape. "The recovery plan proposes a bloodbath so that industry can continue at all costs," said Liz White, director of the Animal Alliance of Canada, in a release. "Outside of these caribou farms, industry will continue to fragment what little is left of caribou habitat into land that supports the very animals targeted for killing." More than a dozen environmental groups, independent scientists, and animal welfare organizations are now encouraging the public to urge the Alberta government to abandon its plan before the Aug. 5 deadline. View the article on CBC's website here.